So Upworthy and Chartbeat both have their own metrics: Upworthy calls its version “attention minutes” and Chartbeat calls its measurement “engaged time.” Although they use somewhat different methods, both track how far readers get through a page of content or a video before they click away, and use other signals to determine whether a page is simply open in a tab or whether the reader is actually involved in reading or watching the content. 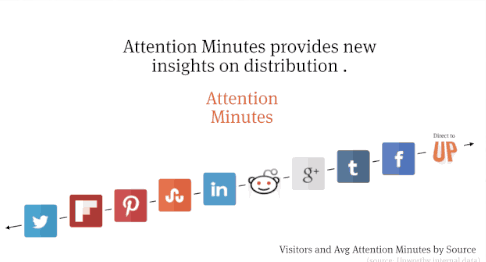 Interestingly enough, Upworthy says that Twitter does very well as a source when measured by total visitors, but somewhat less so when measured by actual engaged time or attention minutes. “Perhaps someday, but that’s cart before horse, really; what we want to measure is user engagement through satisfaction. Maybe time-on-page will be part of that, maybe not. 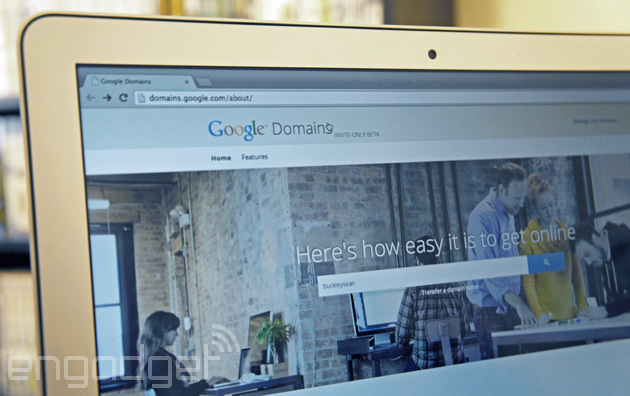 Right now, it’s possible to buy a domain name using Google services. You can start the process on Google’s own pages, process the transaction through Google Wallet and manage that domain through Google Apps — but you didn’t actually buy that domain from Google. That’s about to change. Today the search giant announced that it’s testing Google Domains, a registration service that will shift the company away from its dependence on companies like GoDaddy and eNom. Google says it wants to enable a simple and transparent experience, but it’s not quite ready for a full launch just yet — at present the service is only available to a limited group. When it does launch, however, Google says it will have partnerships with several website building partners, including Shopify, Weebly, Squarespace and Wix. Have an idea for a new website? Check out Google Domains at the source link below and request a registration code. What kind of Lego kid were you? Follow-the-instructions or anything-goes? 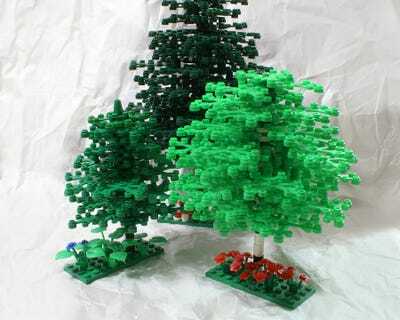 The latter group, those who weren’t afraid to make a mess and improvise their own Lego creations, are today able to submit their unofficial Lego builds to the company itself for public consideration and a year-long round of public voting. 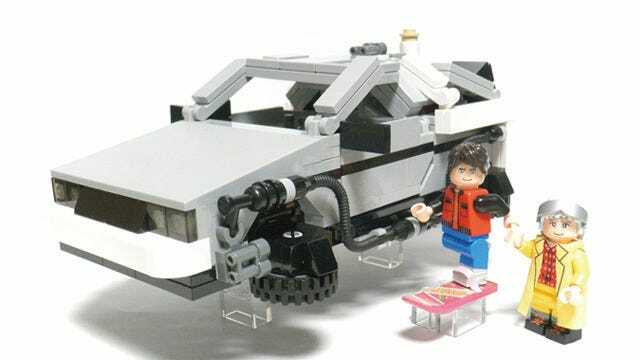 If the build can successfully garner 10,000 supporters — essentially a vote of “I would buy this if it were on store shelves” — then Lego will investigate releasing it as an official set. It’s a system called Lego Ideas, and it looks a lot like Kickstarter. Each project displays its number of supporters and the remaining time left in its campaign to break the 10,000 supporters mark. Projects will often include multiple photos of the finished item, occasionally a story surrounding its origin story. Projects selected in the LEGO Review go into production. 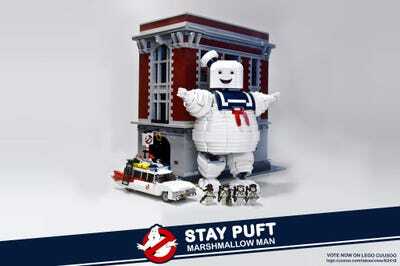 You give input to our professional LEGO designers, whose job it is to create the final set based on your project. Once complete, it goes to the factory, then it’s shipped around the world and released for sale. You’re featured in set materials, receive a royalty on sales, and are recognized as the product creator. Your supporters can now own the LEGO set they helped make happen on LEGO Ideas. 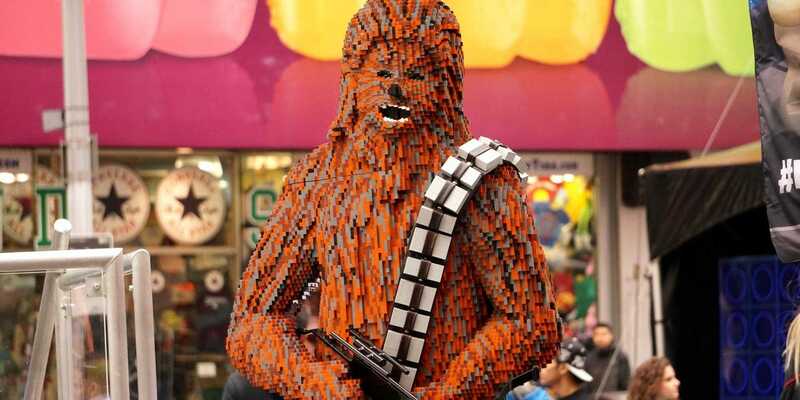 So check out the attached slideshow of our favorite things currently drumming up attention on Lego Ideas. If one of them catches your eye, there’s a link below each picture that you can click to ! learn mo re on the site itself. 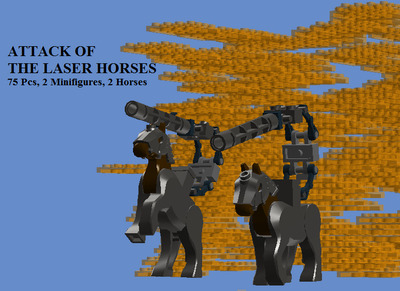 … or silly and absurd, like these horses with laser guns on their backs. Market demand is the biggest obstacle to increased business in native advertising, according to half of premium publishers recently surveyed by Polar. But, on the other side, high-level US marketers and agency advertising decision-makers surveyed by Purch say demand is growing, and they expect their native advertising spending to triple by 2015. Despite the enthusiastic outlook by these decision-makers, who spend at least $1 million on digital advertising, several challenges remain. The most commonly-cited challenge is insufficient reporting and ROI metrics (46%); indeed, the Polar survey finds that “there is no consistency when it comes to success metrics for a native campaign,” with publishers analyzing various metrics. Some of that may relate to advertisers having both branding and performance goals: roughly 7 in 10 native/sponsored content advertisers count branding as a main objective, while almost two-thirds cite sales and conversions as a top priority, according to the Polar survey. Notes: Some 55% of online consumers from 60 countries say they are willing to pay extra for products and services from companies committed to positive social and environmental impact, with this representing a 10% point increase from 2011. Willingness to pay a premium increased across each region, and ranged from a high of 64% of respondents in the Asia-Pacific region to a low of 40% in Europe. Separately, the study notes that respondents are as likely to rely on friends and family (47%) as they are product packaging (52%) to ensure that a brand is committed to positive social and environmental impact. Notes: Three-quarters of retailers surveyed believe that digital advertising delivers a higher ROI than traditional or offline advertising, and 82% expect their digital marketing budgets to increase in the next 3-5 years. Asked which digital channels provide the best opportunity to drive sales when it comes to the shift from printed circulars to digital formats, retailers pointed primarily to retailer websites (23%), deal or promotion websites (23%), and deal or promotion mobile apps (22%). The most important objective for mobile marketing is to improve customer engagement, according to newly-released survey results [download page] from Ascend2 and Research Partners. Some 55% of respondents who use or plan to use mobile marketing indicated this to be an important objective, followed in close succession by increased lead generation (40%), increased brand awareness (39%) and increased website traffic (38%). Recent research from Urban Airship indicates that 8 in 10 senior marketers from around the world agree that mobile supports audience engagement and brand awareness. That same study revealed that mobile applications are considered to be the most effective mobile tactic for driving audience engagement, with few seeing SMS as an essential tactic. Mobile apps are becoming more rapidly adopted, per the Ascend2 study: among those using or planning to use mobile marketing, 35% are using or plan to use mobile apps, on par with the proportion using or planning to use mobile social media (33%) and mobile-optimized email (32%). Fewer are interested in SMS messaging (22%) and QR codes (12%), while the most common mobile marketing type in use or planned by this group of respondents is a mobile-optimized website (54%). Roughly 3 in 4 American adults regularly watch TV shows live via cable or satellite TV, while streaming (43%) and recorded TV (37%) are also popular choices, per results from a Harris Interactive survey. But for Millennials (aged 18-36), the TV viewing experience has changed, with a slightly larger proportion saying they regularly watch TV shows via streaming (67%) than via cable or satellite (62%). While Millennials are the most likely to be streaming content, they’re slightly less likely than the average adult to regularly watch recorded content. For the time being, non-streaming methods of watching TV continue to outweigh streaming methods overall, even for Millennials. About two-thirds most often watch TV programs on TV, via live feed, recorded programming, or on-demand service, while slightly fewer than half claim to most often watch shows via streaming on any device. Not surprisingly, the inclination to watch TV the traditional way increases alongside age, while the opposite is true for streaming behavior. Live TV remains the single most popular way to watch TV programs, aligning with recent research from Ipsos and BroadStream Solutions, which separately found that live TV remains popular among Americans. Is Your Internet As Fast As Advertised? 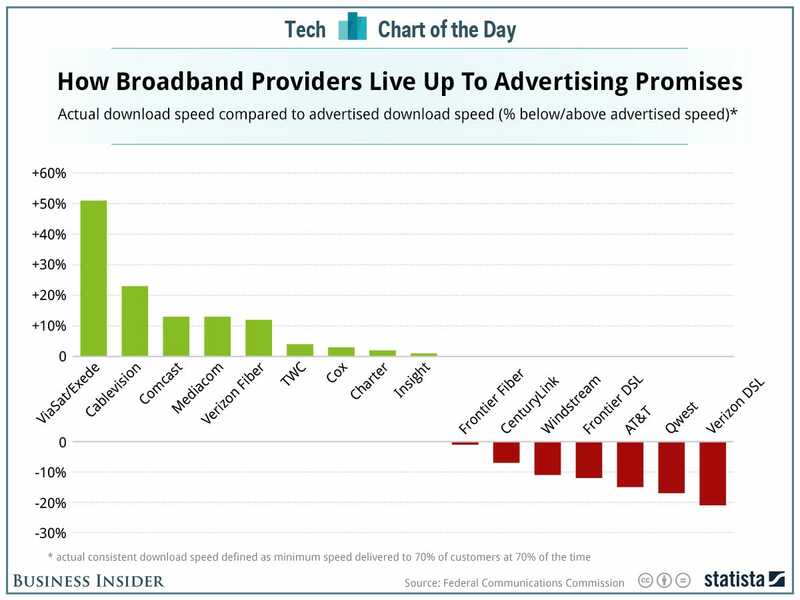 The FCC put out a big report on the state of broadband in the U.S. Statista made a chart based on the data looking at how the internet speeds for various providers in the U.S. For the most part, the providers live up to their promises.